Join us Sept 28th for the 2017 Open House at Chateau Le Jardin. An exclusive invitation for upcoming Brides and Grooms and all folks planning a wedding.This year, Chateau Le Jardin is pulling out all of the stops for our 2017 Great Gatsby themed Open House. We have vowed to wow offering everything from live entertainment and wine tastings to a new and improved menu that will be sure to impress! Also in attendance will be many vendors, both in-house and new that can help give you an idea of what you need at your upcoming event! Arrive before 8:00 PM and you will be entered for a chance to win a Grand Prize! Looking for further details? Sorry, we’re keeping our surprises hush hush. You’ll just have to come and find out on September 28, 2017! 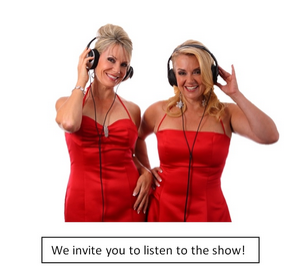 On today’s radio show we talk about a fantastic event taking place Sept 28th. An Open House, themed after the Great Gatsby over at Chateau Le Jardin, a French style chateau event venue with grand ballrooms, stunning foyers and majestic fireplaces located in Woodbridge, Ontario. Not sure if you remember way back when you got married? Although exciting it was oh so stressful! For most couples it’s the first time that they have planned anything of such a magnitude! 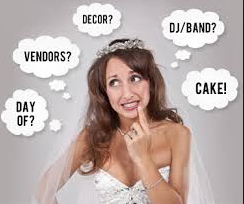 Well this Open House is going to show you how to a plan a fabulous wedding stress free! That’s right! Chateau Le Jardin has been an amazing event space offering the best in corporate events, holiday parties and weddings. Today we are going to concentrate on the wedding end of things. 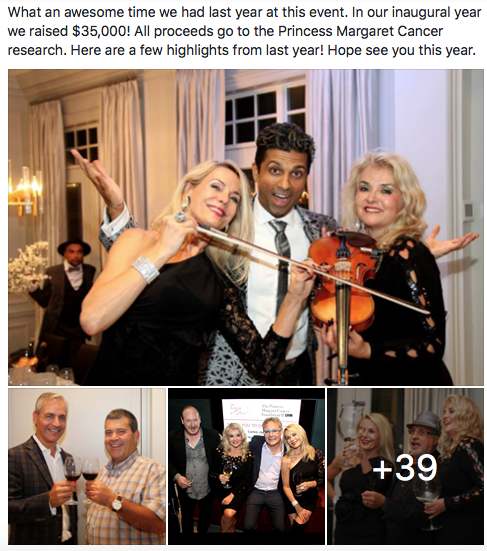 https://www.thewineladies.com/wp-content/uploads/2017/08/images_GreatGatsby.png 258 542 Susanne Seelig-Mense https://www.thewineladies.com/wp-content/uploads/2017/08/WineLadiesLogoTransparent.png Susanne Seelig-Mense2017-08-09 17:09:292018-03-16 08:22:30Join us Sept 28th for the 2017 Open House at Chateau Le Jardin. Join us at The Princess Margaret Lottery Fall showhome for an evening filled with wine, food pairings, entertainment and a chance to have a first look at your potential future home. 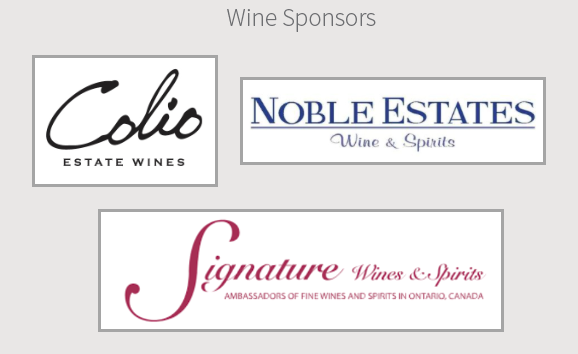 Join us Oct 1st, 2016 for Raise A Glass to Conquer Cancer benefiting The Princess Margaret Cancer Foundation. An evening filled with wine, food pairings, entertainment and a chance to have a first look at your potential future home. 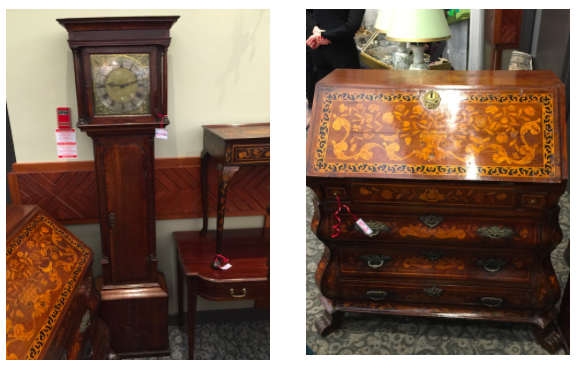 How to remove wine stains from antiques with restoration specialist Kieren Hall, Acacia Restorations. Kieren Hall, the Founder and Proprietor of Acacia Restorations explains how to remove wine stains. And finally, after our earlier discussions with the owners of these traditional family run wineries, that go back multiple generations, we realized that there’s probably lots of family heirlooms and antiques that continue to be handed down. So why not look at how best to care for them? Or even maybe restore some of these antiques to their original state and beauty? Kieren Hall, the Founder and Proprietor of Acacia Restorations skis us how to remove wine stains. 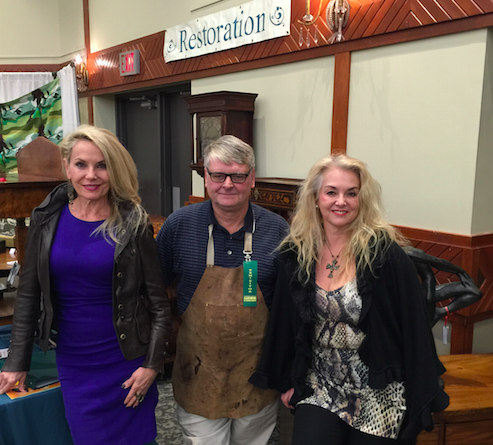 For tips on restoration, on protecting antiques, on how to remove wine stains and much more Kieren Hall, the Founder and Proprietor of Acacia Restorations join us. 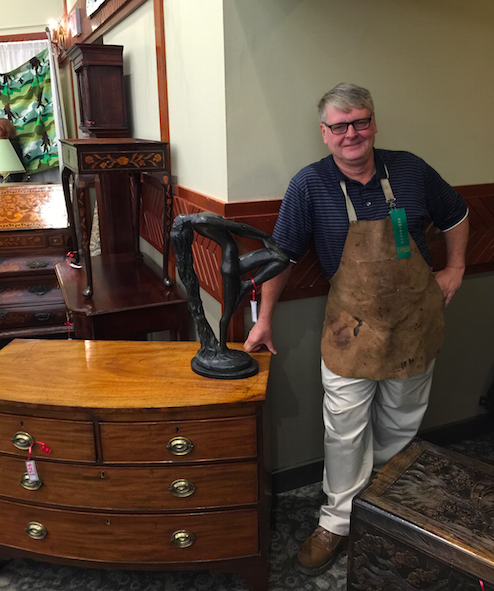 He is an antique craftsman and restoration specialist. And Kieren will join us here in our final segment. He will answer all of these questions. Come to think of it we have an antique trunk that definitely could use a face lift too. Meet Mark Beringer, 4th generation winemaker Beringer Vineyards… On this week’s audio podcast. Ask The Wine Ladies. I have a red wine stain on my shirt, what do I do now? https://www.thewineladies.com/wp-content/uploads/2015/12/images_acacia.png 154 625 Susanne Seelig-Mense https://www.thewineladies.com/wp-content/uploads/2017/08/WineLadiesLogoTransparent.png Susanne Seelig-Mense2015-12-07 16:04:512018-04-27 09:42:05How to remove wine stains from antiques with restoration specialist Kieren Hall, Acacia Restorations. 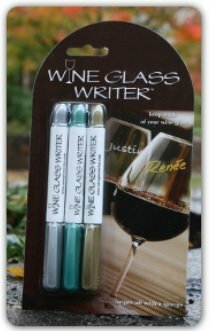 Wine Glass Writer.No more messy wine charms anymore! The Wine Ladies latest wine accessory discovery! Only $11.00 Click here for more details or to purchase. Perfect for any dinner party, get together or girls night in. No more wine charms. 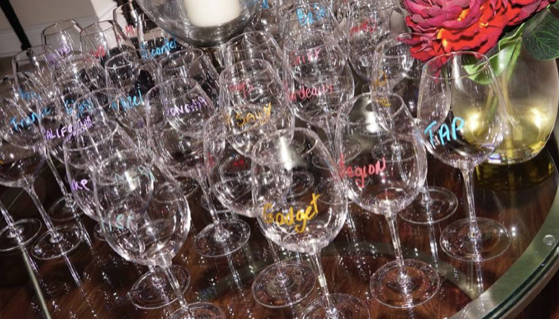 Just write your guests name on the glass and you are set! 100% Made in the USA. The Wall Street Journal says this is as an “Improvement of the wine charm!” And we agree totally. Washes off with soap and water. Be creative and have fun! Makes the perfect hostess gift too! 4.non-toxic,patented ink for all glass,crystal, or glazed ceramics! Available in 2 great color selections to suit any decor or party theme. Only $11.00 for set of 3. Click here to purchase. Only $10.00 for set of 3. Click here to purchase. 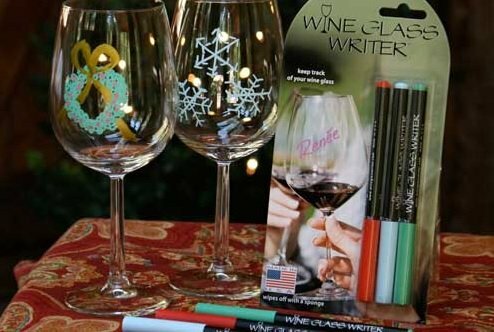 https://www.thewineladies.com/wp-content/uploads/2013/10/wineglasswriterholidayglasses.jpg 332 494 Susanne Seelig-Mense https://www.thewineladies.com/wp-content/uploads/2017/08/WineLadiesLogoTransparent.png Susanne Seelig-Mense2013-10-31 13:37:392018-03-29 16:49:05Wine Glass Writer.No more messy wine charms anymore! 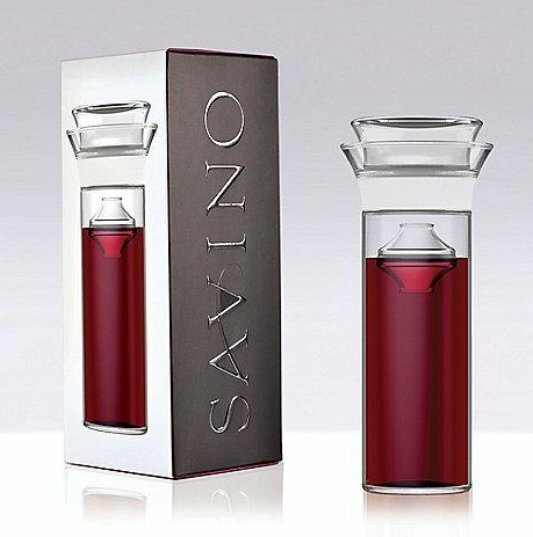 Savino A must have for the wine lover in your life! 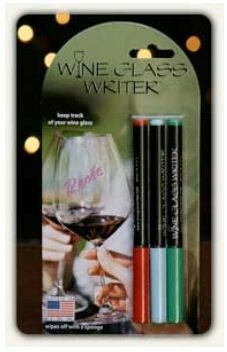 NEW To The Wine Ladies on line store. Only $44.95. Click here for more details or to purchase. 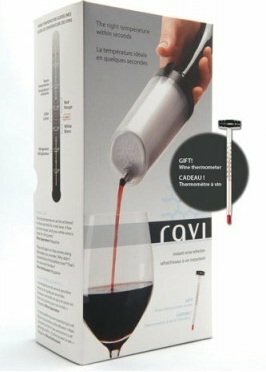 Savino is an easy-to-use wine preservation system that allows you to enjoy your favorite wines anytime without waiting for an occasion. Open any bottle with confidence, knowing that you can enjoy the full original flavor of Tuesday’s wine on Saturday. 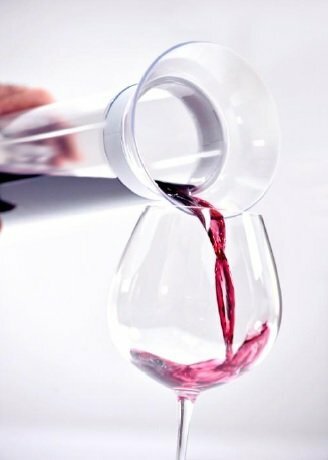 After enjoying a glass, simply pour the remaining wine into the well designed, sturdy glass carafe. Insert the float to create a physical barrier between the wine and oxygen. Place the lid on top of the carafe and store in the refrigerator or wine storage area. When ready to enjoy your next glass, pour directly from the Savino to enjoy the wine’s full flavour and original character. Savino does not try to control the environment of an opened bottle of wine like other wine preservation solutions on the market. Instead Savino creates a new, elegant environment designed to preserve and serve wine. Designed, manufactured and assembled in the U.S.A.
Made from the highest quality Glass and BPA-free materials to be durable and functional for everyday life. The float is designed to hold up to years of use while not discoloring or imparting any taste onto your favorite wine. https://www.thewineladies.com/wp-content/uploads/2013/10/savinopicture1.jpg 537 533 Susanne Seelig-Mense https://www.thewineladies.com/wp-content/uploads/2017/08/WineLadiesLogoTransparent.png Susanne Seelig-Mense2013-10-09 10:46:352013-10-09 10:46:35Savino A must have for the wine lover in your life! Do you ever have just a glass or two of wine?Wonder will it still be just as good the next day? You need the Air Cork. 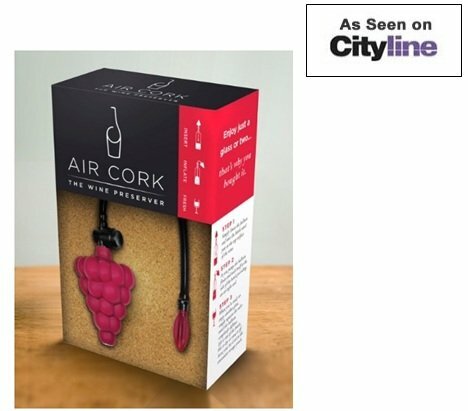 Air Cork is intuitive, simple, and easy to use. It just plain works. 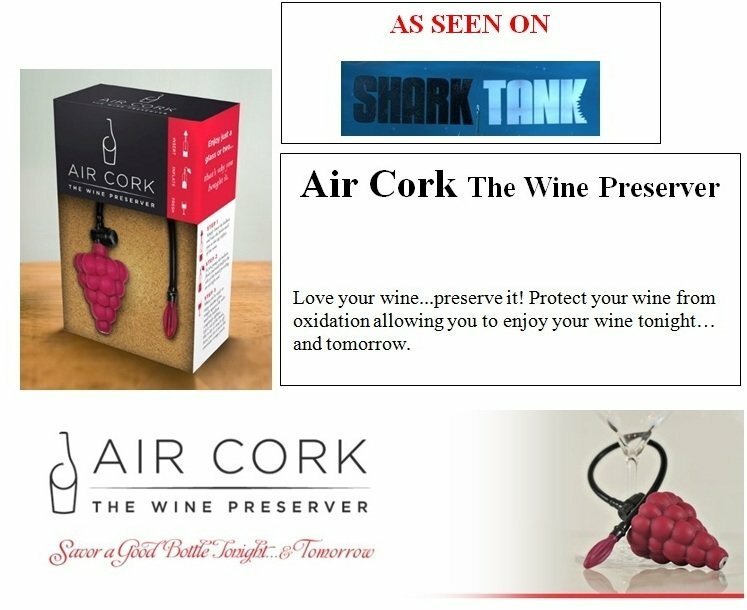 It provides an airtight seal no matter how much wine is left in the bottle. You can see that it’s working from outside of the bottle. NO MORE: Pumping to try to create a ‘vacuum’ and losing beautiful aromatics. NO MORE: Gas on or in your wine. NO MORE: Pouring into smaller bottles to try to eliminate excess air. NO MORE: Freezing and thawing wine. https://www.thewineladies.com/wp-content/uploads/2012/11/aircorkasseenontv.jpg 411 468 Susanne Seelig-Mense https://www.thewineladies.com/wp-content/uploads/2017/08/WineLadiesLogoTransparent.png Susanne Seelig-Mense2012-11-15 19:15:302012-11-15 19:15:30Air Cork The Wine Preserver, Its fun and it works! 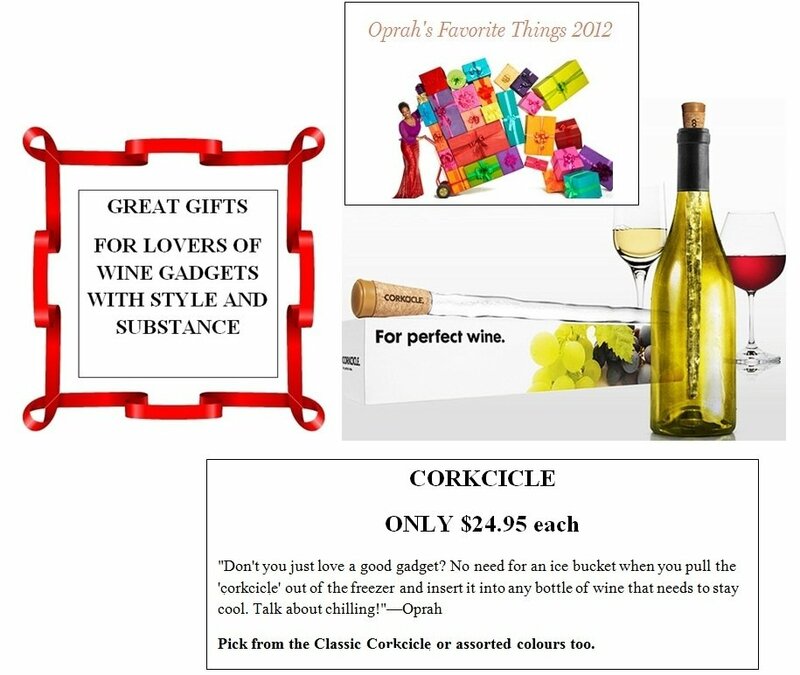 Oprah and The Wine Ladies 2012 Top Pick, the CORKCICLE, for perfectly chilled wine every time. 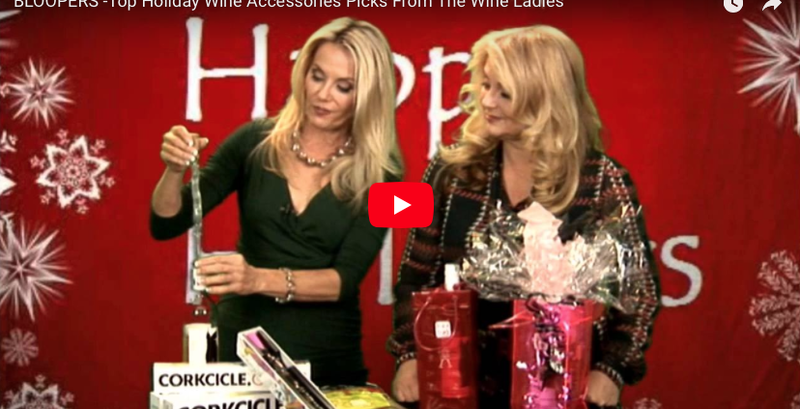 Watch The Wine Ladies on Cityline TV here. It keeps your chilled whites at perfect drinking temperatures. It keeps your lighter chilled reds at perfect drinking temperatures. And it even brings those heavier room temperature reds down to more suitable drinking. https://www.thewineladies.com/wp-content/uploads/2012/11/corkcicleclassicholidayblog.jpg 772 915 Susanne Seelig-Mense https://www.thewineladies.com/wp-content/uploads/2017/08/WineLadiesLogoTransparent.png Susanne Seelig-Mense2012-11-15 17:32:442012-11-15 17:32:44Oprah and The Wine Ladies 2012 Top Pick, the CORKCICLE, for perfectly chilled wine every time. No fuss, holiday shopping made easy, awesome wine and food accessories available at every price point, delivered straight to your door. We customize your order, we ship anywhere in the USA and Canada. 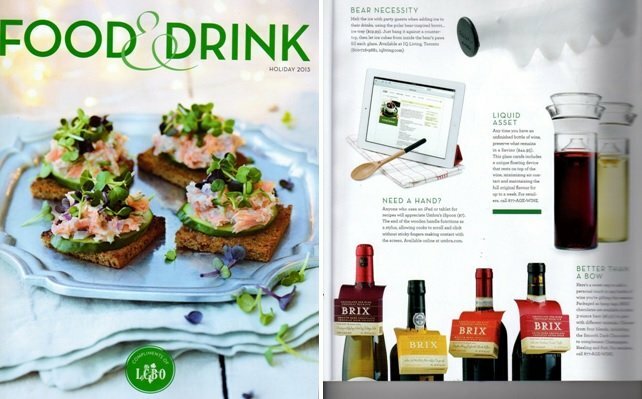 Choose from an array of award winning gift ideas, gadgets and wine accessories. We’ve got your holiday gift giving covered, something for everyone. The Wine Ladies online store is exciting, affordable and makes your shopping as easy as 1-2-3! We thought we would have some fun and show you our BLOOPER VIDEO! ENJOY!